AWS Lambda Applications – are you looking for a practical guide? Take a look at our guide for getting started with Lambda, using Applications view to facilitate adopting a serverless architecture. In our minds, this is a must read which includes step-by-step instructions. Take a look! 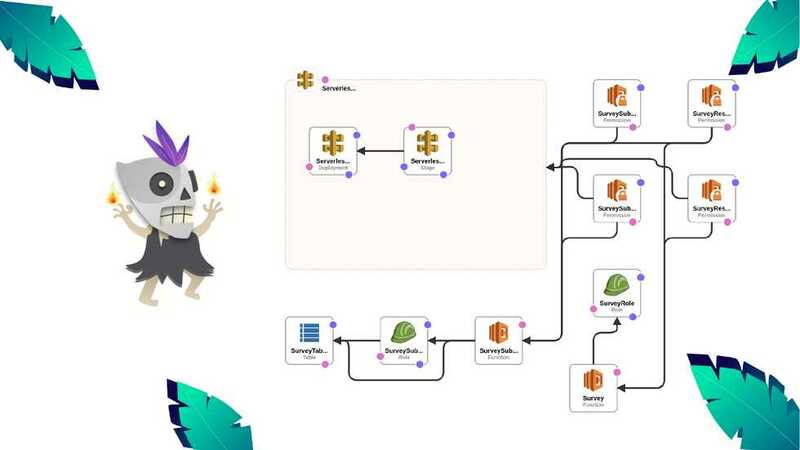 Serverless workflows are notorious for being difficult to monitor and manage, and providers are starting to take notice. AWS Lambda – one of the most popular FaaS platforms – is now slowly taking steps to improve the observability and manageability of functions with the recent addition of Lambda Applications view. As an AWS Lambda advocate myself, I decided to try out Applications to see how it could potentially make adopting a serverless architecture easier, or improve the lives of serverless veterans. I recommend looking at the official docs. Each resource created by the application is listed and categorized. 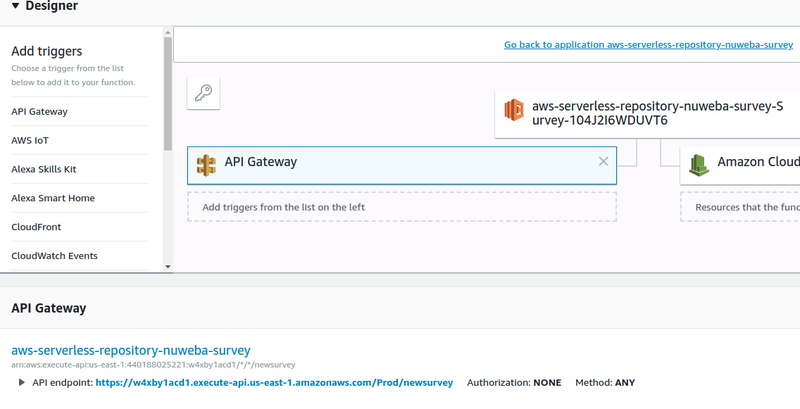 There are four primary resources - two Lambda functions, one DynamoDB table, and one API Gateway (or APIGW), which was declared in the SAM template with the API event. Each resource can be expanded to show all the supporting resources such as roles and deployments. 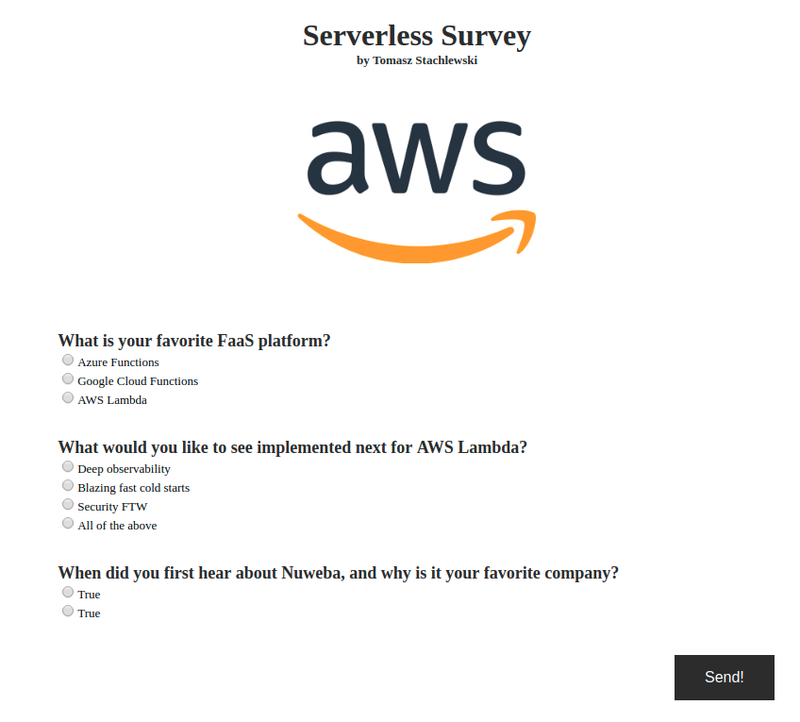 While the serverless survey application has only a few resources, larger applications can have hundreds or even thousands of resources. This view is critical for quickly seeing what resources your application does and does not have. Next I needed to see how the application works. 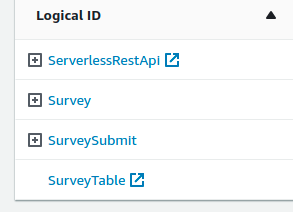 The first function – Survey – displays the survey’s frontend as an HTML page, and the second function – SurveySubmit – collects the survey’s results and submits them to the DynamoDB table. After filling out the survey, click the send button multiple times to make sure the function is working and responding correctly. 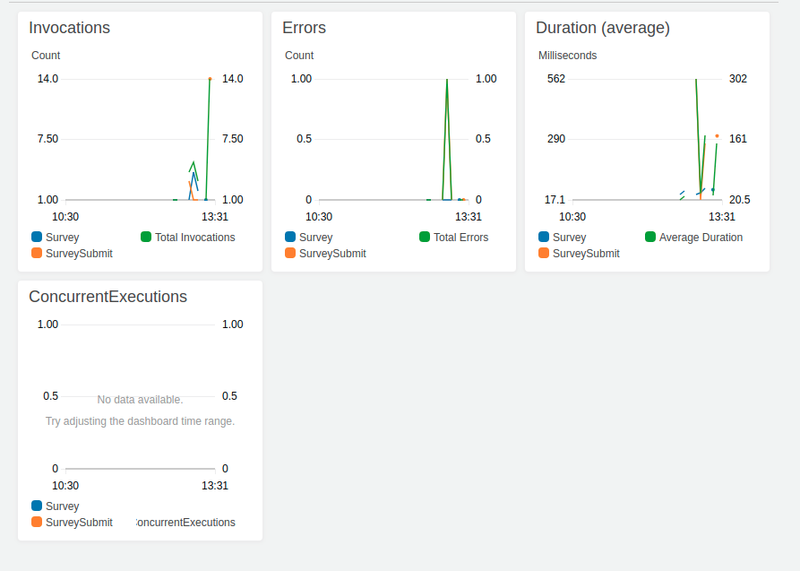 Now that the application is running, take a look at metrics - For that, you need to open the Monitoring view. You can see metrics for other resources like the APIGW and DynamoDB using the dropdown menu above the dashboard. 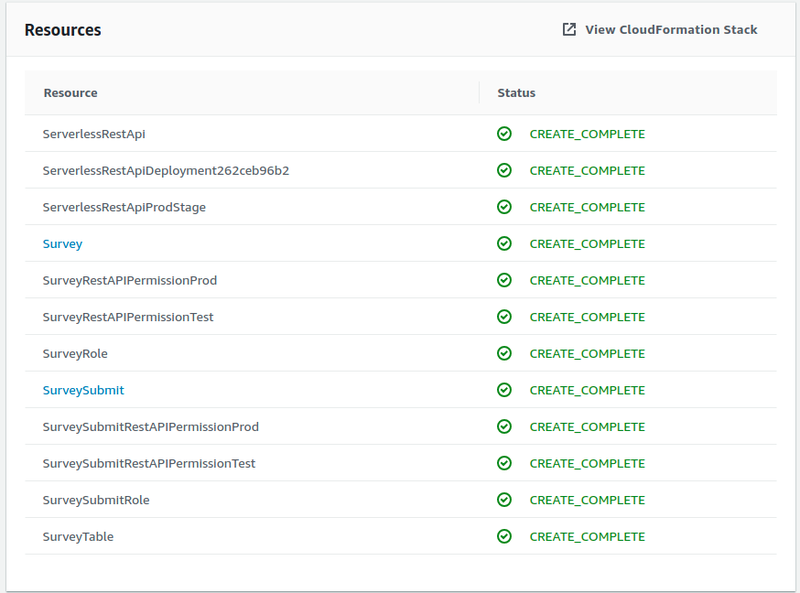 You can even add custom metrics by adding an Amazon CloudWatch dashboard to the Application Template. Does Lambda Applications view Really Simplify Serverless? As far as simplifying serverless functions goes, Lambda Applications provides clear benefits. According to Amazon, it adds portability to Lambda projects and integrates with other AWS tools such as CodePipeline, CodeBuild, and the Serverless Application Model command line interface (SAM CLI). These tools were already available for regular Lambda functions, and Applications hasn't really added much to that mix. What more can we expect to see from Lambda Applications in the future? A more visual representation with interactive maps and graphs representing resources and relationships. Ability to add and remove applications and application resources from the web console. Lambda Applications certainly adds useful features to the growing arsenal of serverless management tools. And it take all of us one step closer to serverless utopia. These are our favorite resources to stay up-to-date on what's happening in the ecosystem.